ENJOY 50% OFF Basic Dues when Joining from 1 June - 31 July!! 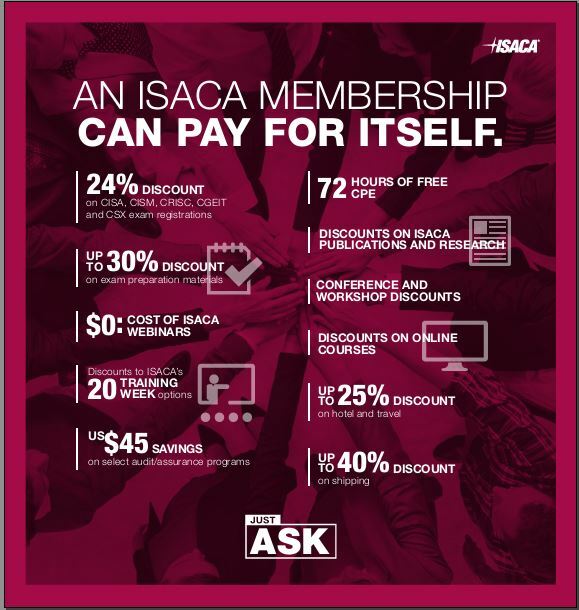 Being an ISACA member gives you access to the best offers and savings on ISACA products including Certification Exams, Conferences and Exam Prep materials. 1 June-31 July marks our annual 50% sale on basic membership dues, making this the optimal time to join. With your access to exclusive member pricing, membership typically pays for itself with just one purchase, so make sure to take a look at all of the “Smart Savings” opportunities you will be eligible for when you join today!